Nikolaus Gansterer studied art at the University of Applied Arts in Vienna and completed his post-academic studies at the Jan van Eyck Academie at Maastricht in The Netherlands. He is cofounder of the “Institute for Transacoustic Research” and the sound collective “The Vegetable Orchestra”. 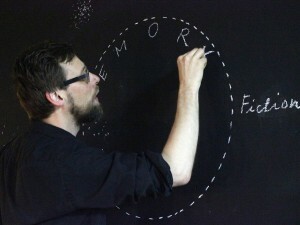 He is lecturer amongst others at the Institute for Transmedia Art at the University of Applied Arts in Vienna, Austria. Since 2016 he is visiting professor at the Center Research Focus, Vienna. Nikolaus Gansterer is deeply interested in the links between drawing, thinking and action unfolding their immanent structures of interconnectedness. By rejecting a strict differentiation of these areas, and through a consequent recombination of methods and settings from both fields, he arrives at distinct lines of connection and division, questioning the imaginary threshold between nature and culture, art and philosophy. Nikolaus Gansterer’s fascination with the complex character of diagrammatic figures has led to his book “Drawing a Hypothesis – Figures of Thought ” (Springer, 2011) on the ontology of shapes of visualizations and on the development of the diagrammatic perspective and its use in contemporary art, science and theory. 2014 – 2017 Nikolaus Gansterer is key researcher of the inter-disciplinary FWF-funded artistic research project “Choreo-graphic Figures. Deviations from the Line” in collaboration with Mariella Greil and Emma Cocker. Mariella Greil is a performer, choreographer and researcher living in Vienna. 2014-17 she is Key Researcher in the research project “Choreo-graphic Figures. Deviations from the Line” where she examines the choreographic means in its expansion. Previously, she was Associate Researcher in the artistic research project “performance matters” (2009-2013) and senior editor for the e -journal “activate”. Since 2002 she has worked on various research and laboratory projects and has taught at universities in UK, US, Mexico and Austria. 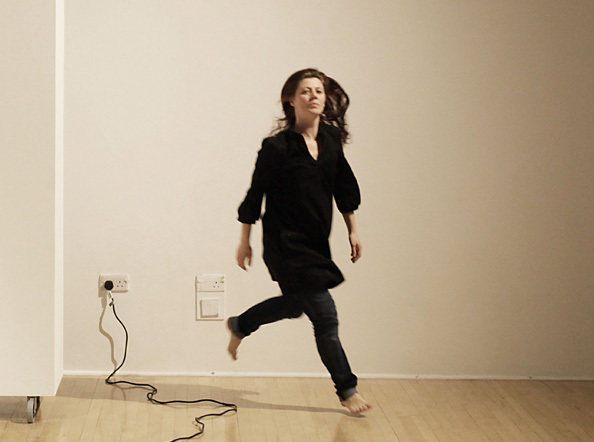 Currently, Mariella Greil is a PhD fellow at the University Roehampton in London in the field of dance / performance. In the years 2006 and 2007 she received the danceWEB scholarship and 2008 and 2010, the foreign scholarship for dance of the Austrian Ministry for Education, Arts and Culture. She is involved in the artists’ initiative “Sweet and Tender Collaborations” and in collaborations with Lisa Hinterreithner, Werner Moebius, Doris Stelzer, Martina Ruhsam, Emily Sweeney, Emma Cocker and Nikolaus Gansterer. 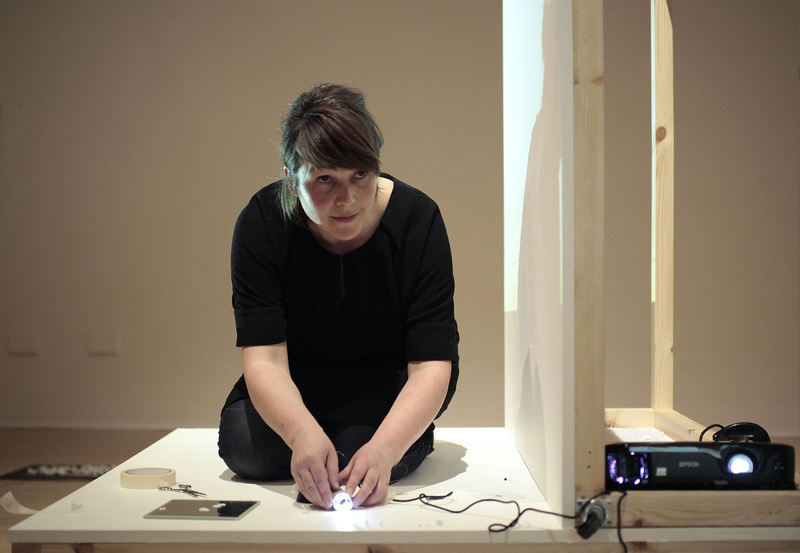 Emma Cocker is a writer-artist and Reader in Fine Art at Nottingham Trent University. Operating under the title Not Yet There, her research often addresses the endeavour of creative labour, focusing on models of (art) practice and subjectivity that resist the pressure of a single or stable position by remaining willfully unresolved. Cocker’s approach unfolds as an interdisciplinary, hybridized enquiry that operates restlessly along the threshold of writing/art, involving performative, collaborative and creative prose approaches to writing about, parallel to and as art practice. Her recent writing has been published in Failure, 2010; Stillness in a Mobile World, 2011; Drawing a Hypothesis: Figures of Thought, 2011; Hyperdrawing: Beyond the Lines of Contemporary Art, 2012; On Not Knowing: How Artists Think, 2013; Reading/Feeling, 2013, and Cartographies of Exile, 2014.